The planning stage of any business is vital for success. We can help you reach out to your local community and analyse your market. Get it right from the start and you’ll be able to gain funding, avoid pitfalls and attract customers. If you are planning a local project, we help you engage a wide group of people from the initial phase ensuring as much community involvement as possible. Consulting widely ensures a sense of common purpose is created and plans reflect the needs of the wider community. We can help you realise the potential of your business by analysing your market. This should include an overview of your industry, a look at your target market, analysis of your competition, your own projections for your business and any legislation you need to comply with. This valuable data will help you understand your customers, create pricing structures and find your unique selling points that your competitors are lacking. If you are applying for funding, market analysis data can support your business plan. Much has been written and talked about how voluntary organisations and social enterprises should access the public sector procurement market. This short document aims to look at the reverse situation, outlining how the sector should let and manage its own contracts. The author has been on both sides of the procurement process for many years and has submitted dozens of bids to private, government and voluntary sector organisations. In his experience, voluntary and social enterprise organisations have a wee bit of a journey to embark on to match the performance of other sectors! The aspiration for voluntary organisations and social enterprises should not simply be about their end product, but about the process of achieving that end product. In terms of procuring services, that means, amongst other things, transparent processes, clear communication and minimising waste. This short guide aims at showing the general approach that should be adopted in putting projects out to tender. If you are a grass roots community organisation that is thinking about setting up an organisation, taking over the running of your community hall, library or setting up a leisure activity, this toolkit will give you the practical help you need. The Toolkit is supported by a Mentor which can be provided by SKS Scotland. You can download our free Basic Social Enterprise Toolkit which we’ve developed in partnership with Engage Renfrewshire. Contact us to purchase copies and/or find out more about our Social Enterprise Toolkit and Mentor service. Copies Supplied £4.15 incl VAT, plus p&p. We offer a tailored, hands on package utilising the full Mentor Toolkit. The benefits of the Mentor Toolkit include SKS Scotland specialists working alongside you to mentor and train you and your staff in the various areas highlighted below. 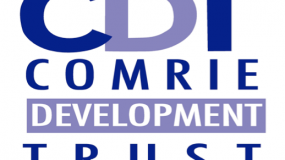 This would all be done within a controlled and defined budget to achieve your objectives and develop your social enterprise. SKS prepared the business plan for Bannockburn House Trust’s successful Stage 2 Scottish Land Fund / Big Lottery application. 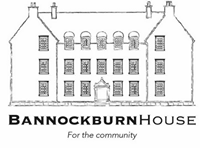 The award of £648,300 to the Trust, will help the local community to purchase Bannockburn House and its 25 acres of surrounding land for community use. A number of projects were carried out by SKS to ensure that the Gorebridge Beacon could function appropriately as a community hub: market analysis for the offices / meeting room / general purpose rooms, an options appraisal for the cafe space, business planning, finances and an options appraisal on Governance. 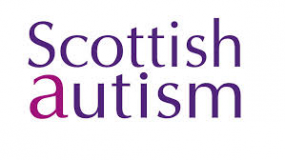 SKS Scotland has worked on both a strategic and task-based level with Scottish Autism since 2010, providing ongoing local PR to support the marketing and fundraising functions, and the development and implementation of a major fundraising campaign. We have also carried out a strategy review of the potential to develop and increase fundraising income within the charity. SKS helped A & B RCOP engage with relevant partners and stakeholders by using effective marketing to ensure effective communication and engagement around the RCOP programme. Thanks to Ashley Coombes Photography who supplied several images for the website.